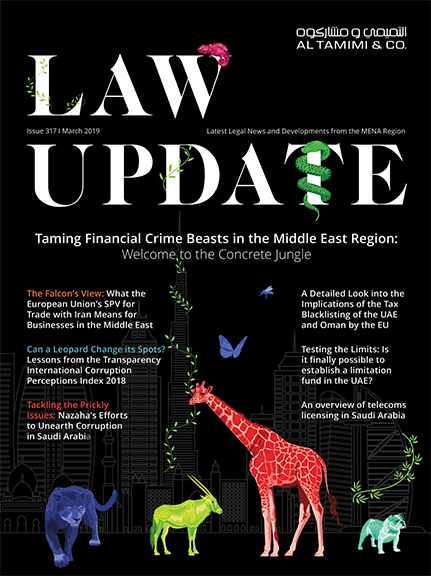 In the past five years Kuwait has been steadily pursuing the development and modernization of its laws and regulations to reflect the nation’s current and forward-looking attitude in relation to the economy but also the overall progress of its society. One issue that has always been a major concern for the residents and the government of Kuwait relates to the rights and protection of consumers. Consumers have continually complained about counterfeit and poor-quality products and pricing and in order to ensure market stability, attention must be paid to consumer protection. This has led to the implantation of a dedicated consumer protection law. Previously, there were minimal means available in Kuwait to allow members of the community to submit complaints regarding goods and services, whether in relation to pricing or quality. Consumers were only able to submit their complaints at certain consumer protection centers, which are located in each governorate, or call the “135” hotline. Once these complaints were lodged, the Ministry of Commerce and Industry (the “MOCI”) would take necessary measures to confirm the facts and address any issues in order to protect the consumer. Due to its nature, consumer protection requires both the participation of consumers and the government. However, the aforementioned methods for addressing consumer protection issues were one-sided and reactive, as the relevant governmental authorities would only act once they received a complaint, and complaints could only be issued if a community member was aware he/she could make such complaints. Given the need for a better approach to safeguarding its consumers, the Kuwait government made consumer protection a priority. In March 2014, Kuwait hosted the fourth meeting of the Gulf Cooperation Council (“GCC”) member states’ consumer protection agencies. The meeting focused on how to increase efforts to protect consumers in the GCC by enhancing awareness of consumer rights and securing the same. On 5 June 2014, Law No. 39 of 2014 Relating to Consumer Protection (the “Consumer Protection Law”) was published in the Official Gazette. The Consumer Protection Law has 37 articles aimed at safeguarding consumer rights and creating an instrument of control to ensure such rights are properly defended. The second Chapter of the Consumer Protection Law requires the establishment of an independent national committee for consumer protection (the “Committee”) and governs the Committee’s operations. The Committee will comprise of representatives of the below listed governmental entities and be chaired by the Minister of Commerce and Industry. the Chamber of Commerce and Industry. The Committee’s role will involve the creation of a general policy for consumer protection; the development of plans and programs for the protection, promotion and development of consumer rights; the investigation of complaints received from consumers or consumer protection societies; the reporting of violations to the concerned authorities and the filing of claims relating to the interests of consumers; the verification that goods and services meeting with specifications and quality standards; and cooperation with consumer protection bodies regionally and internationally. An important provision of the Consumer Protection Law is set out in Article 7 which grants certain appointed Committee staff members with official authority to implement the Consumer Protection Law and take action against its violators. This authority includes the right to access, obtain and examine documents and records from any government or non-government authority. The executive regulations of the Consumer Protection Law (the “Regulations”), which are to be issued on 5 September 2014, will specify the procedures and limitations related to such information gathering. Chapter Three of the new law provides a framework for private consumer protection societies while Chapter Four enumerates the rights of consumers. The right to safety – this means that consumers should be able to assume that the products they buy are reasonably safe. The right to quality – this means consumers should be assured of satisfactory quality of products which can be used for their intended purpose. The right to redress – this means that consumers have the right to receive a fair settlement of just claims, including compensation for misrepresentation, shoddy goods or unsatisfactory services. The rights set out in Article 9 of the Consumer Protection Law are based on the rights granted by the United Nations Guidelines for Consumer Protection (UNGCP). These guidelines were adopted by the UN in 1985 and the UNGCP are intended to act as an international reference point of the consumer movement. Kuwait, through the introduction of the Consumer Protection Law, has become a part of this movement in the interests of progress and modernity. Article 10 allows a consumer to replace or return a defected product within 14 days of purchase (provided that it is not a rapidly perishable good) and further states that vendors and suppliers are jointly liable in such respect. Article 10 applies in instances where a consumer receives a defective or incomplete service in accordance with the nature of such service, contract conditions or prevailing commercial custom. In this case, the service provider shall refund the value of the service or the value of the product or re-provide the service to the consumer. Pursuant to Article 11, every clause in a contract or document related to contracting with a consumer shall be invalid if it exempts the merchant or service provider of any of his obligations under the Consumer Protection Law. The obligations of the merchant or service provider are addressed in Chapter Five. Chapter Six regulates the advertisement of goods and services. In general, merchants are required to include certain details of a product in Arabic, in a clear and legible manner, in accordance with the standard specifications approved in Kuwait, the GCC or any other law, particularly the product date; the expiration date; the ingredients; any inherent hazards; and the precautions to take in using the products and to avoid any risks. Service providers are required to clearly indicate the details of the service provided, its price, advantages and properties. Article 13 states that in displaying products, a merchant is required to place the price on each product clearly and directly and a service provider is to indicate the value of the service to the consumer. Article 14 requires a merchant to replace a defective product or provide a refund for the same within the specified period as per the terms of the guarantee conditions declared by the merchant or the customary period (likely 14 days). This obligation does not apply to all goods, such as rapidly perishable goods, customized goods, books, newspapers, magazines, and computer software programs. Pursuant to Article 16, a merchant is required to provide a consumer with an invoice written in Arabic confirming the product, the date of sale and purchase, the price, the quantity, type etc. and any other details to be determined by the Executive Regulations. Chapter Six includes other merchant/service provider obligations such as the prohibition of the sale or rent of hazardous materials/products to anyone under the age of 18; or the obligation of a merchant/service provider to compensate the actual damages incurred by a consumer due to a defective good/service or one that is not in conformity with standard specifications. Chapter Seven sets out the penalties applicable for violations of the Consumer Protection Law and Chapter Eight, in summary, discusses general conditions and states that every condition or agreement that prejudices or undermines consumer rights or relieves merchants/service providers of their obligations shall be null and void. While this new law is a welcome, the issue of awareness and enforcement will likely continue to be a concern for period of time. When the National Assembly was reviewing a draft of the consumer protection law, one of its members criticized the previous body entrusted with protecting consumer rights (i.e. the consumer protection department at the MOCI) as being practically ineffective. While the Consumer Protection Law aims to increase consumer protection, educate consumers, provide quality standards in consumer goods and services and apply local and international consumer protection regulations, only time can tell whether such objectives will be accomplished. Most recently, the media has stated that the GCC states have agreed to create a joint Gulf committee for consumer protection in the GCC region and that the contemplated GCC consumer protection commission will be launched in 2016.